Grace was born September 11th 2008. 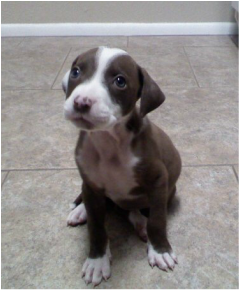 The chocolate and white colored pitbull soon stole our hearts. Grace loves people and going to racquetball tournaments with us. 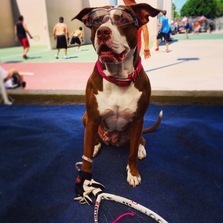 This amazing dog has accompanied her racquetball family to many events, indoor and outdoor. Personally she prefers outdoor events mainly because of the atmosphere. She also loves taking naps in the sun and playing with everyone. Over her lifetime she has touched many peoples lives. She has been to Day Cares, Retirement Communities, Opening Ceremonies, countless tournaments, the beach and so much more. 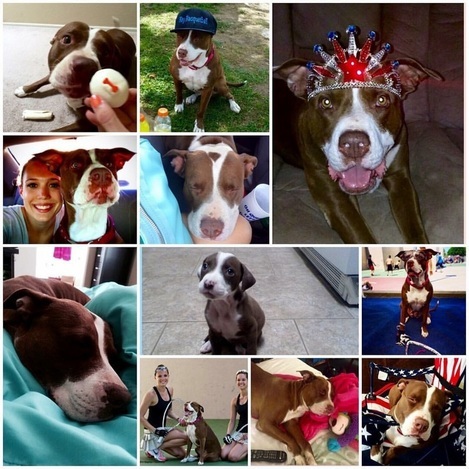 We love Grace and we hope you enjoy her page! Normally I like to sleep in and take my time getting out of bed. When I finally wake up, I love running laps around the backyard to make sure every thing is secure. 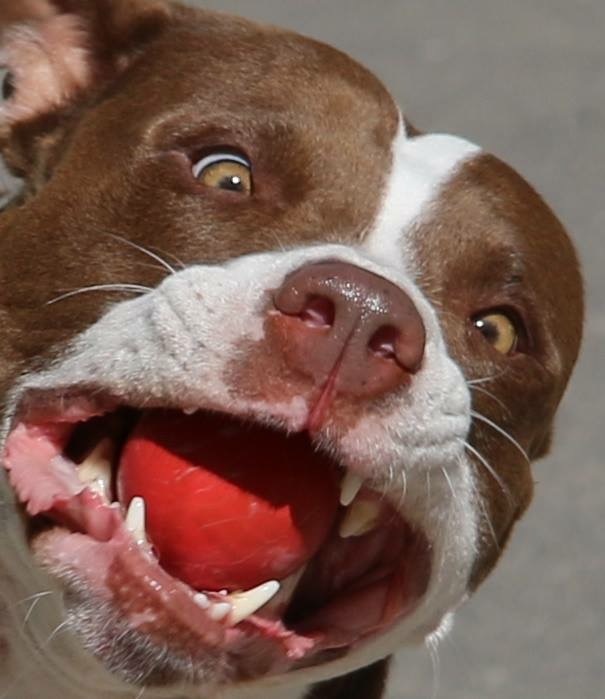 Then I enjoy barking at the neighbor dog through the fence. After my morning run, I like to come inside and get some treats. I also enjoy laying outside in the sun and then coming in to get pets when I'm nice and hot. 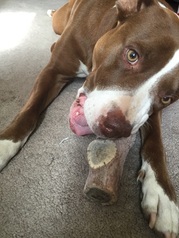 I really like playing with my people and chewing on bones. I love helping Daniel and Michelle golf by chasing the ball and Karen and Darold sweep by attacking the broom. I really enjoy taking Uncle Bill on long walks with my older brother, Shadow. Balloons drive me crazy so I HAVE to pop them right away. I do not like swimming in deep water because I sink but I really like the hose.